Whether it’s Chinese medicine or your great grandmother, those who came before us (and before A/C) had some powerful techniques to help them stay cool when the temps started to rise. ‘So what, we all have air conditioning now? !’ you may be saying. Well, hold on. Not everyone has regular access to A/C or even loves using it. For some, it can worsen dryness and allergies, plus most units are incredibly noisy. And it’s not so great for the environment. Sometimes, it’s preferable to cool off the old-school ways. So whether you have an air conditioner or not, here are some tried-and-true traditional techniques to help you make it through the hottest, stickiest part of the summer. 1. Eat watermelon and aloe vera. 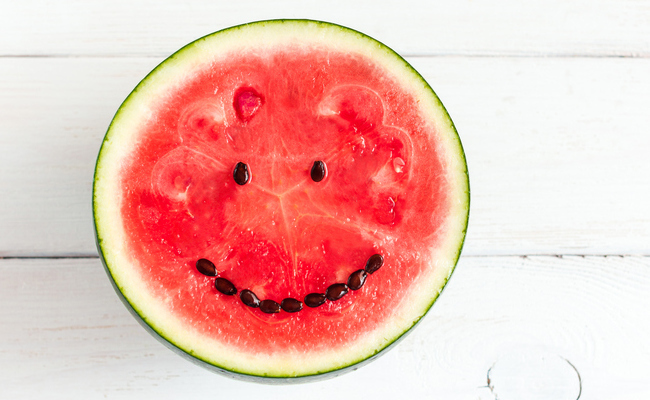 In Ayurvedic tradition, watermelon and aloe are cooling foods, which means they help to release heat from the body. Munch on watermelon and mint salads when you’re looking for a refreshing, hydrating snack or try this refreshing Aloe Vera Detox Drink recipe. 2. Close and open windows strategically. Whatever you do, do not open your windows in hot weather. In fact, you should even close your blinds during really hot days to keep your house cool and shaded. If the outdoor temperature cools down at night, open up all the windows to allow for some refreshing airflow. Batten the hatches again in the morning. 3. Try this analog fan hack. Long before air conditioning, people used to place bowls filled with ice in front of fans. As the fan blows, it picks up the cool air surrounding the ice and circulates it around the room. Not only is this an environmentally friendly way to mimic A/C, but it is really effective. Enjoy this blissfully cool breeze on the most muggy, sticky, stagnant summer days. 4. Sleep with damp cotton sheets. This may sound weird and pretty uncomfortable, but in a sweltering evening, it can be a sleep-saver. Use a spray bottle to spritz your cotton sheet with water so that it is slightly damp. The idea is, as you sleep, the damp sheet actively draws heat away from your body, keeping you cool and snoozing soundly. If you’re not into damp bedding, you could try popping your dry cotton sheets and pajamas into the freezer to give them a deep chill before you snuggle in at bedtime. Sometimes the issue isn’t your room. Sometimes the issue is you. 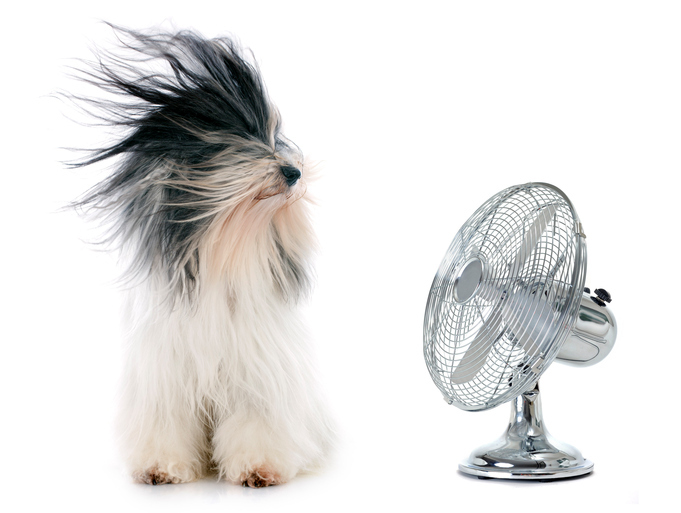 Releasing the excess heat in your body can make your time spent in a room sans air conditioning much more tolerable. Spend five minutes under some cool water, and you’ll come out the other side feeling enlightened and relaxed! 6. Stop using your stove during the day. If you can use a grill, go for it. Otherwise, either do all your cooking in the morning, well before the heat of the day, or opt for a slow cooker or Instant Pot, which don’t put off much heat. And whatever you do, don’t even think about turning on your oven! 7. Put a cold pack on your pulse points. Your wrists, ankles, groin, and neck are all prime areas for temperature biohacking. These are locations where the skin is thin, and large blood vessels are relatively close to the skin. By putting an ice pack on these points, you’re effectively cooling down your blood and letting that coolness flow through your entire body. It’s like internal air conditioning! 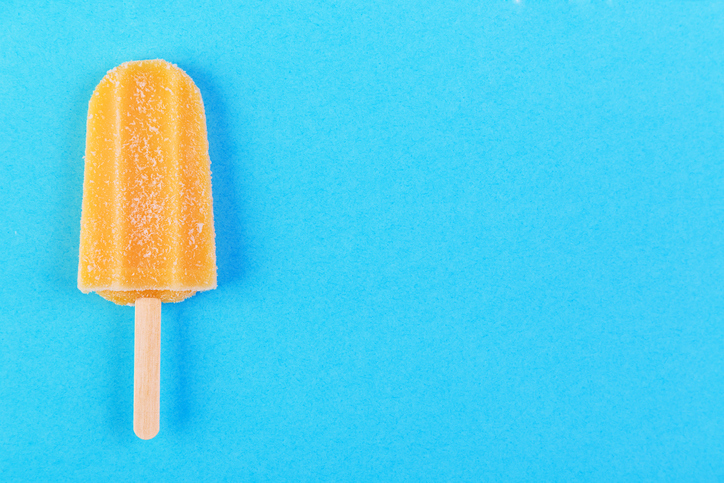 Air conditioning isn’t the be-all end-all of summer. People have survived for millennia in the heat without A/C. With a few tried and true techniques, you can, too. In a very humid climate, like that of northeastern US where we live, the damp sheets would be a bad idea, as there'd be a very good chance that they'd get moldy instead of drying. **use window fans to pull in cool air at night. Turn them off during the day. **natural sugar and salts in things like fruit are important to maintaining your electrolytes when you're sweating a lot.